These grow into egg-laying chickens. They are of hybrid origin and selectively bred. They lay at about 18 weeks, laying about 1 egg per day and laying up to 300 eggs a year. Eggs are laid daily, normally dawn or dusk. They are a very inquisitive breed of chicken. They have a caramel/brown shade of feathers, sometimes with white feathers in a pattern round their necks, and white feathers at the tips of their tail feathers. 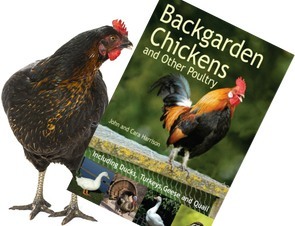 They are very friendly, and are good chickens to keep as pets for children. All chicks are Single Mareks THV CA + Rispens vaccinated.